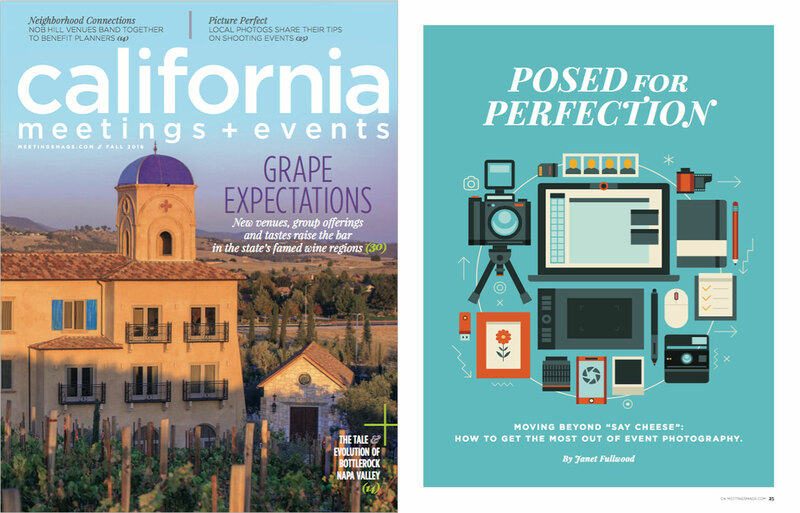 We’re excited about the Fall 2016 issue of California Meetings + Events! On the cover they call out Picture Perfect: local photos share their tips on shooting events and it’s one of the main articles in the issue! There’s a ton of great pieces with a variety of perspectives including how to leverage social media with your event photography, how to deal with celebrities at events, contract tips for event photography and we’re proud to have contributed a piece on “Five things event photographers want planners to know”. As event professionals we always strive to make our clients jobs easier and to help them figure out event photography ideas that can help them achieve their goals with their events so check out our piece and let us know your thoughts! If you have any other questions, feel free to post them in the comments and we’re happy to answer what we can!